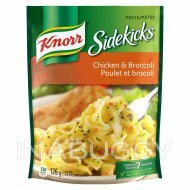 Treat your taste buds with Knorr® Sidekicks® Cheddar & Broccoli Rice (13g). Our rice & vermicelli blend expertly combines broccoli florets with the creamy deliciousness of cheddar cheese sauce. 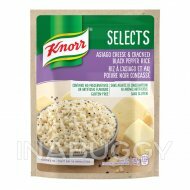 Our perfectly seasoned rice side dishes are great as part of a delicious main dish or as a standalone side dish. Make Knorr® Sidekicks® rice the foundation of a crowd-pleasing dinner. 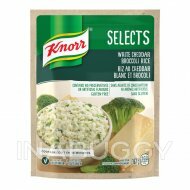 Your family is sure to love the cheesy, creamy flavour of Knorr® Sidekicks® Cheddar Broccoli Rice (13g) On top of tasting delicious, our Cheddar Broccoli Rice is quick and easy to prepare. 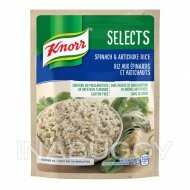 Knorr® Sidekicks® rice side dishes have no artificial flavours making it an excellent choice for creating a family-favourite meal. 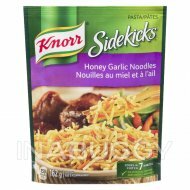 Use Knorr® Sidekicks® to create a mouth-watering main dish. 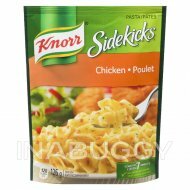 Simply prepare Knorr® Sidekicks® rice side dish and add your favourite meat and vegetables to make a dinner your family is sure to love. 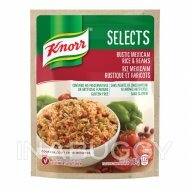 Discover more quick and delicious dinner ideas at Knorr.ca. There are hundreds of recipes to help you find dinner inspiration. 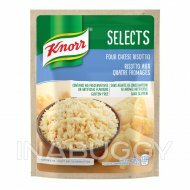 Knorr® offers 3 varieties of rice and pasta side dishes so you can be sure to find flavours your family will love.